On D1 chart, the pair was corrected to the moving average of Bollinger Bands. The indicator is directed downwards and the price range has reduced, which indicates the change of the downtrend. MACD histogram is in the positive zone keeping the buy signal. Stochastic does not give clear signal for entering the market. 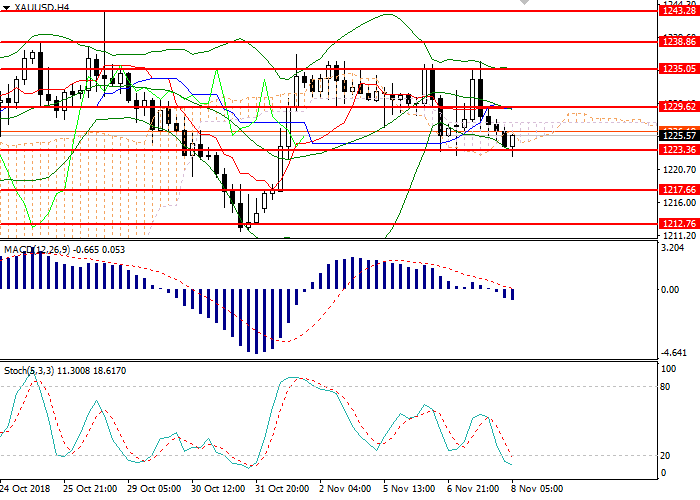 On the H4 chart, the instrument is testing the bottom line of Bollinger Bands, which is a key support level. 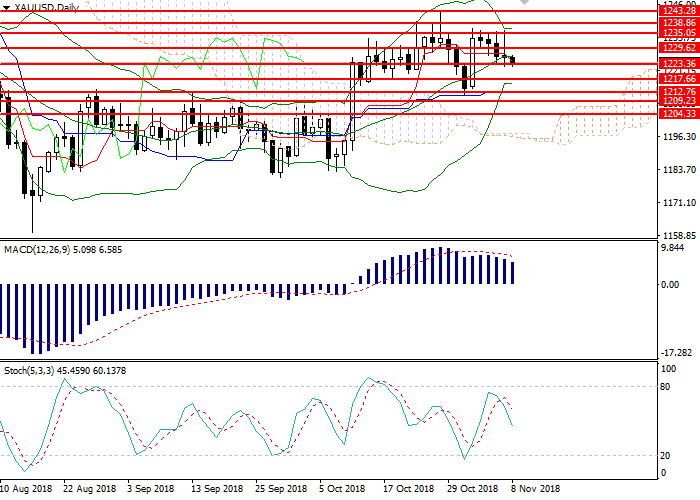 The indicator is directed horizontally and the price range is limited, which indicates further downward correction. MACD histogram is consolidating at the zero level and the signal opening positions is not formed. Stochastic has entered the oversold area; a buy signal can be generated during the day. Resistance levels: 1229.62, 1235.05, 1238.86, 1243.28, 1249.48, 1257.49. Support levels: 1223.36, 1217.66, 1212.76, 1209.23, 1204.33. Short positions may be opened below 1221.75 with target at 1217.25 and stop loss at 1224.30. Long positions may be opened above the level of 1230.00 with target at 1239.50 and stop loss at 1227.00.